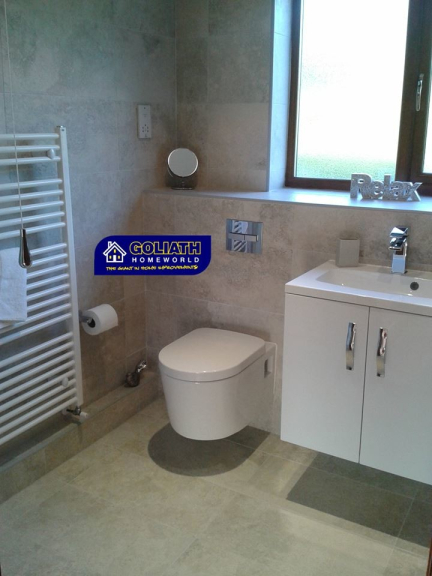 Cannock based Goliath provide quality bathrooms to add value to any property. Visit the showroom and understand why Goliath have built such a great reputation since 1987. 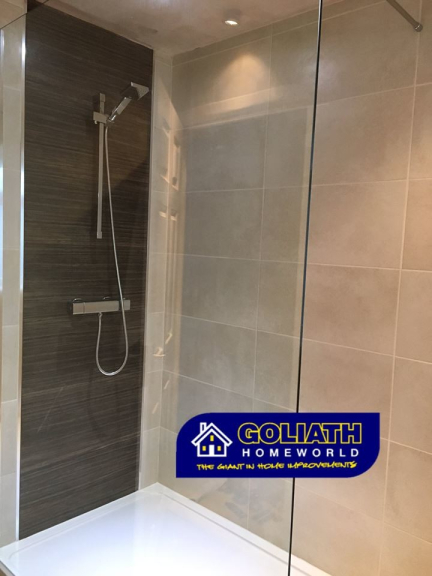 Goliath is a Cannock based company that has grown and expanded into a variety of home improvement markets. This has been possible thanks to the ever growing satisfied customer base that continue to recommend Goliath to other home owners. 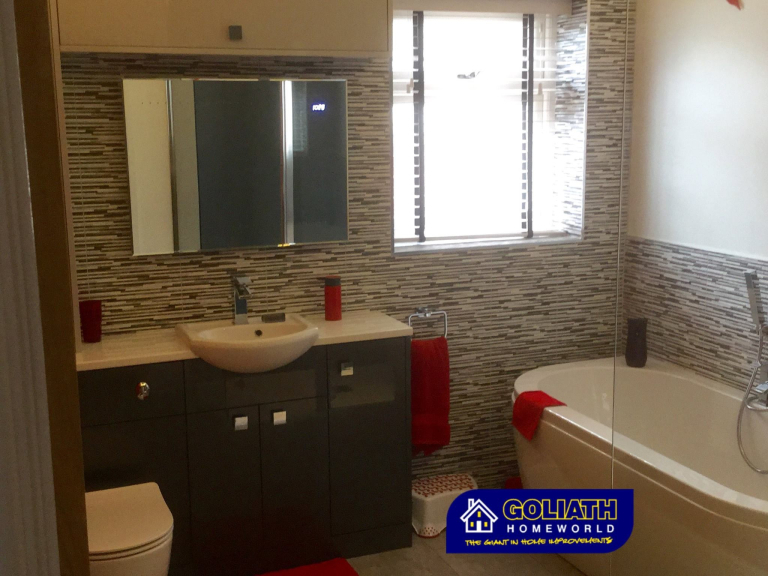 Goliath now offer a wide selection of fitted bathrooms. Whatever the style you desire from a new fitted bathroom Goliath have the solution from classic through to modern styled bathrooms. Customers can choose from a wide variety of finishes including cool, bright, urban gloss white, vibrant colours, warm pear wood and oaks through to opulent Walnut finishes. Bathrooms from Goliath are individually designed using CAD design to ensure maximum use of the space. With the assistance of Goliath even awkward shaped rooms and under stair space can be transformed into a fantastic bathroom. Goliath provide a stress free, one stop bathroom service. Visit the extensive showroom and design your bathroom alongside our design team and then let the professional Goliath fitting team install your stunning new bathroom. A full fitting service is available, which encompasses electrical, plumbing, plastering and tiling works. 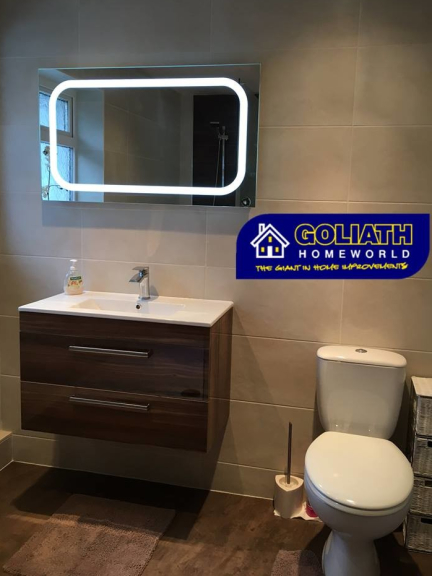 For further information or a free, no obligation quotation please visit the Goliath bathroom showroom at Goliath Home World, Hawks Green Business Park, Navigation Way, Hawks Green, Cannock or call our bathroom team on Cannock (01543) 466464. Please mention thebestof Cannock when contacting Goliath for high quality bathrooms. In addition to bathrooms Goliath Home World provide a range of home improvement services. 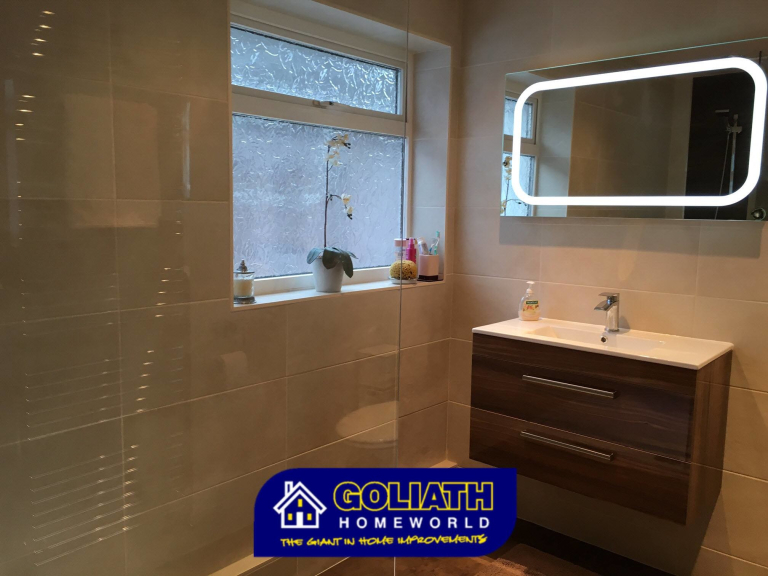 Find out more about Goliath Home World Home Improvements on thebestof Cannock.